Bring peace to your tree this December with the Easy Dove Christmas Ornament. Made from white felt and ribbon, this DIY ornament is super easy and quick to make. You will be able to create a flock in an afternoon either to use as your own Christmas decorations or to give away as wonderful DIY Christmas gifts. Learn how to make Christmas ornaments that are extremely simple and crazy cute. This printable pattern can be sewn by either hand or machine, is kid friendly, and a great sewing project for beginners. I love hand-stitched felt ornaments and this one is lovely. The dove is easy to make, and hand sew while TV watching. I have made several and used an outline blanket stitch in various embroidery floss colors to personalize them for family members. 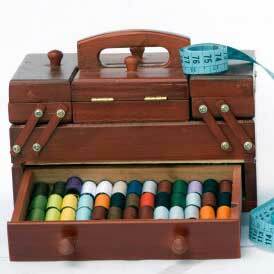 A few felt scraps and bits of ribbon are all that are needed to duplicate this project.